The city's campaign to scare smokers with gross images of decaying teeth or a diseased lung wherever tobacco products are sold was struck down Wednesday by a federal judge. U.S. District Judge Jed S. Rakoff concluded that only the federal government can dictate warnings that must accompany the promotion of cigarettes. He handed a victory to the nation's three largest tobacco manufacturers and the retailers who sell their products when he ruled on the legality of a 2009 city Board of Health code change requiring the display of smoking cessation signs where tobacco products are sold. He said the federal Labeling Act, first enacted in 1965, sought to balance public and commercial interests with a comprehensive federal program to deal with cigarette labeling and advertising. He said it was created in part to prevent "diverse, nonuniform and confusing cigarette labeling and advertising regulations." Part of the law dictated that no state law could impose a requirement or prohibition with respect to advertising or promotion of cigarettes, he noted. 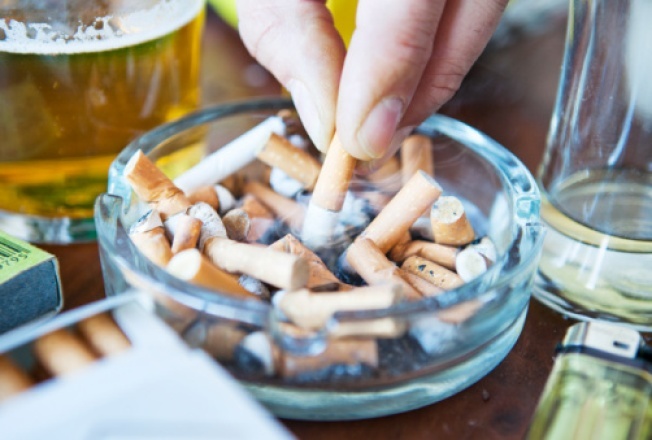 The city also banned smoking in indoor workspaces, increased cigarette taxes, initiated educational campaigns and promoted smoking cessation programs. As part of the campaign, the Department of Health designed three signs for tobacco retailers to display. The judge said they contained "graphic, even gruesome images" of a stroke-damaged brain, a decaying tooth and gums and a diseased lung along with the phrase "Quit Smoking Today--For Help, Call 311 Or 1-866-NYQUITS."